Back in the 2000s when I just got my first computer and got to play video games for the first time, I got really into city builders. You know, those games where you are like the mayor and architect of a new city, you get some funding and a few roads to start off with and then have to build up your city and turn it into a grand metropolis. Yes SimCity 3000. Those were good times. I think the reason why I was so into these kind of games, was because they reminded me a lot of Lego, which I loved to play with at home. I guess this all also ties in well with how I am a developer now, I have a creative mindset – I want to create great things, maintain them and improve them. 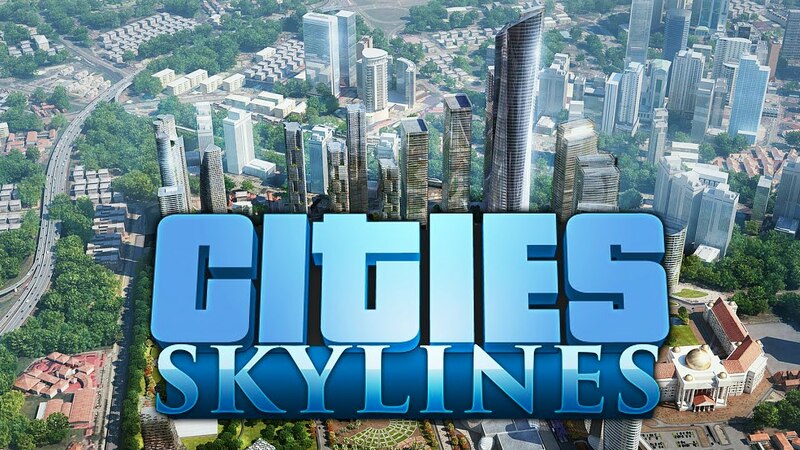 Now, 10+ years later, there is new game of the city builder genre called Cities Skylines. The game actually came out over a year ago, but I only got into it after their Snowfall patch, which got the community talking about the game again. This is the city of Riga, where I was born and lived in for 17 years of my life. My home in one of my favourite games – thats amazing. If you are into creative style games, I’d highly recommend you give Cities Skylines a try, the possibilities are endless! As you all know, Blizzard has made a lot of great games in the past. Memorable titles such as Warcraft III, Diablo II, Starcraft and of course currently WoW have all been hugely successful in their genres. One of their latest games (well it came out in 2014) is Hearthstone. It is a collectable card game, where you fight one on one against opponents from all over the world. 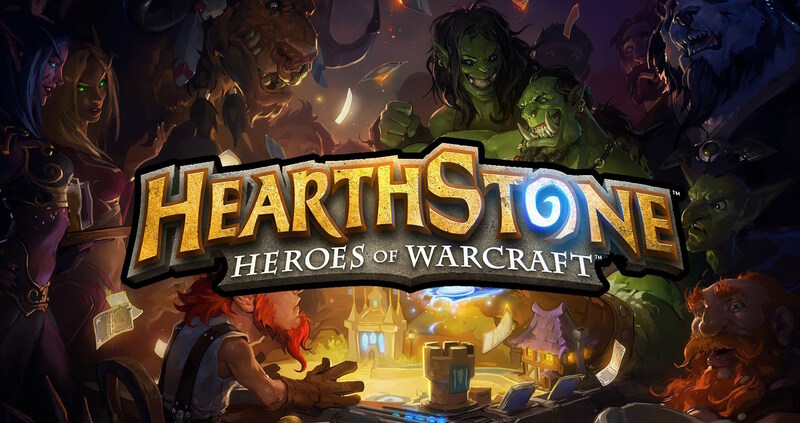 Hearthstone is based of the Warcraft universe, so for people who have played Warcraft III and/or WoW, the characters/minions/spells will be very familiar. Like any other card game out there, you have a deck, which contains minions, spells, and weapons. Each hero has 30 health and your objective is to bring down the health of your opponent to 0. Its a lot of fun, and you gotta give props to blizzard for making a f2p game for the masses, that can be played on mobile and doesn’t require much skill in order to play. Of course if you want to reach legendary rank, then you need skill, luck and a whole heap of cards. This japanese ad for the PS4 and its new share functionality is really touching. It shows that anyone can be a gamer, anyone has the potential to be successful, and that anyone a choice in life. Watch it and see what I mean. They announced it at E3 2012, they showed a glimpse of it at EB Expo 2012, and now, almost 1 and a half year later, it is out! And wow what a game it is! So South Park The Stick of Truth is an RPG where you play as the new kid in town who just arrived and is trying to make friends with the local boys (and girls). During his adventures, sir Douchebag (thats the name you are given) must help the human kingdom, led by the Grand Wisard Cartman, take back from the Elves, led by Hight Elf Kyle, the ancient relic of immense power – the Stick of Truth. No spoiler version. Capcom makes a lot of good games like Street Fighter and Super Street Fighter and Ultra Street Fighter, and …. well you get the gist. Nah, of course they have more good games and one of them is this puzzle detective game called Ghost Trick. It was recommended to me by my puzzle loving girlfriend (at the time) Amy a while back and now I have finally finished it! It was a very interesting story with a nice plot twist at the end. I wouldn’t call it the best puzzle game, but it is definitely worth the time. I will write up a mini review without spoilers, because what fun is it playing a puzzle game when the story has been spoiled for you. When Amy was in New Zealand there was an exhibition of video games happening there, but due to time constrains she couldn’t go. But now that it has come to Sydney she can! And we did! Located at the powerhouse museum, which is just a few blocks away from my place, we got to experience and relive the memories of the games that defined our generation. Games like the original Sonic the Hedgehog, or Legend of Zelda, a lot of old retro arcade games, the Warcraft series + other Blizzard games, Rock Band, Brütal Legend, Sims, etc etc. It was a lot of fun and a very nostalgic experience for both me and my dear Amy. I wish I could show you some photos from this event, but unfortunately there was a no photo policy. I would highly recommend everyone who has at least played any sort of games in the last 20 years to go and enjoy this trip down memory lane. Stand in ALL the lines, buy ALL the things! The game was set out to come out at exactly 12am on the 17th of September. Naturally I preordered it, but then I also decided to go to the store at like 11:30pm to wait for the midnight release and pick it up straight away to get some gaming time before going to bed. I can say one thing, good thing I came 30 minutes early! I managed to get a spot at the front of the line (8th or 10th) thereby getting the game right away at 12 and heading home. The game cost $89 (which is the normal price for the standard edition of any console game in Australia). This is so overdue! I should have finished The Last Of Us before going back home to Latvia, but at that time I was only about 60% into the game. So now, 15 hours of gameplay later, I am done! And I can clearly say that this title deserves to be called the best game of 2013 (we shall see what happens when Watch Dogs and GTAV come out). I will try to keep this review as spoiler free as possible, but at the same time I would like to cover all the parts of the game and at least mention the characters that played a vital role in the story.